Strawberry OG by The Cali Connection is a feminised cannabis seed that has its origins in the cross of a Bruce Banner #3 and an SFV OG Kush IBL. 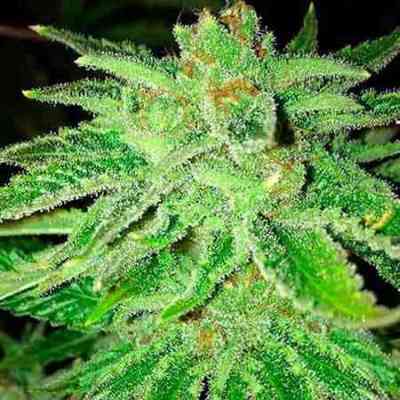 It is a sturdy, fast-flowering and easy-to-grow Kush hybrid that produces generous crops of dense, resinous, fruit-scented buds. Strawberry OG grows well both indoors and outdoors, particularly in a temperate/Mediterranean climate or in a greenhouse. Given its intense aroma, the use of activated carbon filters is sure to be necessary. It is an excellent choice for the elaboration of quality resin extractions, as well. The flavour and aroma of Strawberry OG are pronounced, with deep hints of lemon and strawberry. It provides a powerful and relaxing long-lasting effect.